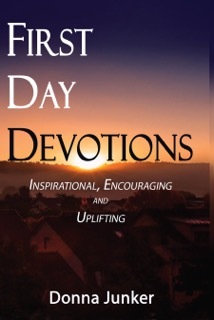 Through these First Day Devotions, the reader will begin on Sunday preparing for the week ahead with positive soul input "through the various seasons of life, knowing God does not change, even when life does." In the author's work as a Rescue Mission Chaplain/Pastoral Care Coordinator, part of her job is to write a weekly devotional for the staff. Each week several send positive feedback, so much so that she decided to compile these devotions into a book that could be used at large. The perfect Christmas gift that takes the reader through the new year with life lessons and insight from these INSPIRATIONAL, ENCOURAGING, AND UPLIFTING WEEKLY DEVOTIONS.